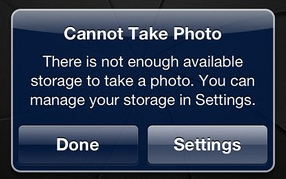 Everyone probably knows it that the iPhone comes with fixed memory space, and that it is impossible to slot a memory card in one for extra memory, because of course, no SD card slots were created for them. Until recently, people who own 16GB iPhones have obtained more memory space by …… buying another iPhone, a 32GB or 64GB variant. If you want extra memory space to use on your iPhone and you do not have the funds to buy another device, there’s another option – Memory hubs! There are several portable devices which act like card readers which you can connect to your idevice via Wi-Fi. These devices are small and can fit in your pocket, they have slots for inexpensive memory cards and can let you play media while connected to it via Wi-Fi. They function very much like external hard disks which most people use on PC, this means that you can transfer data to and from your PC or iPhone if you connect the card reader to either of them. A very good example of this type of device is the Iogear MediaShair Wireless Media Hub which functions as a card reader, wireless Wi-Fi router and power bank. It is compatible with Windows and Mac OS. The MediaShair is listed for $99.95 on Iogear but you can get it for a fairly cheaper price from other retailers like Amazon which currently sells the same device for $55.